Great agent, very professional and caring always on top of your needs. Pleasure to work with him and referred to my family and friends. Helped me find the house and worked with the builder to obtain a great deal and helped me find home inspectors and other inspectors in the process. Campbell and Beth were very professional throughout the buying process and a pleasure to work with. They have the local knowledge and expertise for the type of house and the process that we had to go through. They made the whole process easier. The Haighs are AWESOME!!!! I recently used the services of Team Haigh for a purchase of a home in the Atlanta Area. With that service came a sense of comfort through a very unfamiliar process given their expertise and local knowledge of the market. Team Haigh's knowledge along with their great communication skills helped me to narrow a search tailored to me for my dream property. The 6 months of searching was enjoyable as Team Haigh was easy to work with and quick to push potential properties in front of me based on that search criteria. I would recommend this team for buying or selling as their negotiating, communication, and people skills are above any other agents or teams I have partnered with as a buyer. Team Haigh was absolutely wonderful to us and they treated us like royalty! From the time we met Campbell and Beth we clicked and after a few interactions we felt as if we had known them forever. They were on top of every tiny detail from start to finish. The house was extremely well marketed and displayed on every real estate website imaginable. They set up a photographer to come out and video the home via drone which was over the top impressive. They were accessible at all times either by phone or text as late as 11:00 pm and in constant communication. Feedback was provided as soon as it was received from anyone who looked at the home. They made buying my first home great! I would recommend them to anyone. They knew what to look for since I have kids and made the whole procces a breeze. They helped in talking to the seller and I closed on time! I have already recommend them to friends. Would recommend these two to anyone! They were patient with us throughout the whole process and very knowledgeable of the greater Atlanta area. Thanks Beth and Campbell. The Haighs were AWESOME! They were with me every step of the way, day or night!!! I couldn't imagine working with anyone else! Generally, purchasing a home is a pain but these guys made it as painless as possible! I loved working with them!we highly recommend Haighs! As a first time home-buyer, I was very 'green' as to what I wanted in a home. I had a tight schedule of when I wanted to be in a home, and very high expectations. On top of that, age was not in my favor. I appreciate that Campbell and Beth never once commented on my age (or lack thereof), and instead gently guided me by providing helpful information gathered from their years of experience. I never once felt pressured on any decision. In addition, they were completely available when I had questions. I did not even realize they had other clients until the end of the process, they were so responsive! Finally, their local knowledge was very helpful, in that they had reputable contacts in other fields (insurance, mortgages, inspections, etc.) that were also a pleasure to work with. The Haighs were AWESOME! They were with me every step of the way, day or night!!! I couldn't imagine working with anyone else! Generally, purchasing a home is a pain but these guys made it as painless as possible! My wife and I chose Team Haigh because we got two realtors in one, and together they were able to answers all the questions we had and available to show us homes at anytime. We were satisified with the experience. With Campbell and Beth Haigh, you're really getting two agents for the price of one. They were dedicated to finding us the house that we were looking for. They had a lot of knowledge and experience in the industry and we were able to get every question we ask answered. They did a great job recommending us the right people to work with and made the whole purchase very straight forward and easy. As tedious as the process could be, TeamHaigh makes it such an effortless venture. With a very rich knowledge of the industry and a comprehensive database of contacts, they were always available to respond to both the intelligent and the unintelligent questions no matter the time of the day and that helped to simplify the process for us. The Haighs were truly God-sent as we bumped into them after a few disappointing contacts. They were very swift in action, always ready to protect our interests in the deal. Campbell and Beth are AWESOME! They work hard and even work long into the night to protect their client's interest. They are very professional and we enjoyed working with them. I had a fantastic experience working with Beth and Campbell, they both made me feel like family and understood precisely what I was looking for. They never pressured or tried to change my mind about things I wanted. It was a wonderful process for my home purchase and I will be recommending them. When we started the home buying process, Campbell responded to our request to preview a property immediately. Campbell and Beth were very professional throughout the buying process and a pleasure to work with. They made selling my home less stressful!...I felt comfortable with all their staff and associates. I had such a difficult time selling my home ...dealing with leasing my house out, to my house being vacant, working with other realtors and signing up with the Affordable Homes program..With that program It was difficulty to find out the status of my home and what stage my house was in with the banks.. and when I would call to find out I would be speaking to someone different every time..!. 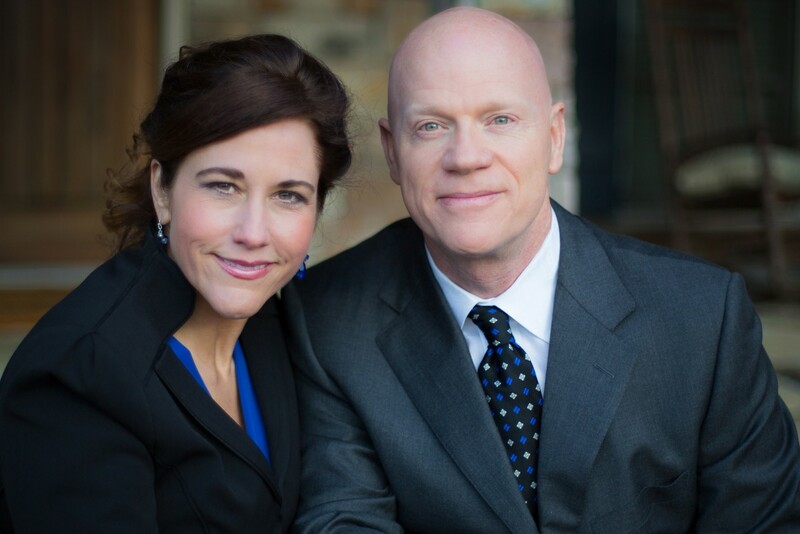 Campbell and Beth brought expertise and boundless energy to our relocation search. They were very engaging and encouraging, from first contact to follow-up. If only every business contact in our lives could be as wonderful as Team Haigh. As a buyer this time around, I did not search out any buying agents. I simply requested a viewing & got an immediate response from Team Haigh. Little did I know, it would lead to the most pleasant real estate experience I would ever have. Not only were Campbell & Beth there for all our calls, emails, viewings, etc, but the knowledge, professionalism & above all, the friendliness to make the experience so easy, was simply unmatched. Professional, Helpful and an absolute pleasure to work with. I will definitely continue to refer clients to them. I am still working on purchasing the right rental home once I receive appropriate loan approval. Currently working with Campbell & Beth buying a commercial space for my insurance agency. I have been spoiled working with them and I sincerely appreciate their expertise. I would recommend, and have recommended them to several friends and colleagues. Team Haigh is incredible. They are the hardest working and most knowledgable agents I have ever been around. I am in the process of purchasing a home and Campbell has made the experience fun. This is a very busy time for an agent and he has made me feel like I'm his only customer. I highly recommend them. They work as a team and make everything seamless. Team Haigh realty is one of the best in the business! I have been friends with Campbell and Beth for years. When they told me they were in real estate, they were my first call. They helped me buy my first office location. With it being my first real estate deal, they quite literally "held my hand" through every detail. On top of that, they got me in touch with a team of people to help with the parts of the process they couldn't do like the appraisal and the closing attorney. They helped me get an incredible location at pennies on the dollar. I highly recommend them to ALL my clients!!! Team Haigh was AWESOME! They were with me every step of the way, day or night!!! I couldn't imagine working with anyone else! Generally, purchasing a home is a pain, but these guys made it as painless as possible! I loved working with them! We highly recommend Team Haigh! Sending my clients to this trusted team in Ga.
Would recommend Team Haigh to anyone! They were patient with us throughout the whole process and very knowledgeable of the greater Atlanta area. Thanks, Team Haigh. I recently used the services of Team Haigh for the purchase of a home in the Atlanta Area. With that service came a sense of comfort through a very unfamiliar process given their expertise and local knowledge of the market. Team Haigh's knowledge along with their great communication skills helped me to narrow a search tailored to me for my dream property. The six months of searching was enjoyable as Team Haigh was easy to work with and quick to push potential properties in front of me based on that search criteria. I would recommend this team for buying and selling as their negotiating, communication and people skills are above any other agents or teams I have partnered with as a buyer. Team Haigh sets the bar HIGH!! This team gets it done! Can't say enough good things about them! Campbell and Beth are the real deal! If you need help buying or selling your home and you want an experienced team who can get the job done, call them. Nobody will work harder to get you what you want! Team Haigh made buying my first home great! I would recommend them to anyone. They knew what to look for since I have kids and made the whole proccess a breeze. They helped in talking to the seller and I closed on time! I have already recommend them to friends. Team Haigh are a great team of realtors to work with. They have extensive knowledge of the areas and from the pricing of the homes to what school's are closest, to the nearest shopping center and what new development is underway nearby. We bought our first home with them and they walked us through every step. They patiently showed us countless homes until we found one that fit our wants and needs. They truly want to help you find a house to call home. Great team to be a part off. Beth & Campbell sold my wife and I our first dream home and since then kept in touch with us over the years and became very good friends. Now I am very proud to say that I am a part of Team Haigh to provide the same quality service to all our clients. Team Haigh worked very effectively as a team to achieve the best possible deal for me and my wife. Their knowledge of the area, including schools, helped us to be able to continue our children's education in highly rated schools. Their negotiation skills helped us to reduce the cost of our home significantly. Team Haigh was absolutely wonderful to us and they treated us like royalty! As newlyweds we were looking for our first home together, and they were able to find our dream home within the area I needed for work and the price that we could afford. They did not hesitate to welcome us with open arms and gave us more than excellent realtors, but people we could depend on!!! We found Team Haigh to be very professional and easy to work with. They were knowledgeable in all area of the Real Estate market and quickly honed in on the type of home we were looking for. They were also very quick in calling us back and answering all questions satisfactorily. We would highly recommend Team Haigh to those with real estate needs. Team Haigh was very professional throughout the buying process and a pleasure to work with. They have the local knowledge and expertise for the type of house and the process that we had to go through. The made the whole process easier. Team Haigh is AWESOME!!!! I would recommend them any day/any time. Team Haigh are the most honest and professional real estate agents my husband and I have ever had the pleasure of working with. We live in Ft. Myers, FL and the effort they put in to find us a home that we would be comfortable in as we look at retirement was over and above. They where so professional in helping us stay within our budget and never showed us anything that was not within our best interest. This is honesty and professionalism at its best. I would highly recommend Team Haigh for your real estate needs. Team Haigh!! If your looking for a team of professional, kind, effective and efficient team members to work with your best interest as if it was theirs, look no further. Team Haigh has been a very pleasant experience. There is no need to feel pressured to choose a more pricey home as some realtors do so they can get a huge commission. Their first priority is not their commission, but for you to enjoy and love whatever home you freely choose. No matter the price range of the home you choose to view, you will have the same energetic positive response. They make the whole homebuying experience simple and a pleasure. What I truly like is that they are quick to respond and work with your schedule to view homes. There is no silly question, you can feel and rest assured that whatever you need you can get a response from them in a timely manner and they keep you updated so no need to wonder what is ever going on with the buying/selling process. You will love their honest and genuine attitude to make sure you get your dream home without feeling stressed and pressured. Campbell and Beth were so patient with my husband and I during our process of searching for the home that both of us would love. They were knowledgeable in all things related to potential home repair expenses, location, school districts and more. We crossed paths about two years ago and ended up not being ready to move forth but Campbell was great about keeping in touch with us until we were definitely ready to sell our house and move and I am glad we did this whole process with them as it was a smooth transition! I started my search for a new home over 2 years ago. Like any perspective home buyer, I started to peruse the various real estate websites and contacted several agents. Only one agent returned my call and that was Team Haigh Realty. The home buying process for me, since I was moving from another state, took approximately 2 years and Team Haigh was insightful, diligent, professional, patient and respectful to me and my family needs. I highly recommend using their services for your home buying needs. From the time we met Team Haigh we clicked and after a few interactions we felt as if we had known them forever. They were on top of every tiny detail from start to finish. The house was extremely well marketed and displayed on every real estate website imaginable. They set up a photographer to come out and video the home via drone which was over the top impressive. They were accessible at all times either by phone or text as late as 11:00 pm and in constant communication. Feedback was provided as soon as it was received from anyone who looked at the home. Not only did they sell the house they also referred us to a wonderful local mover and handyman. They are full of ideas and referrals to vendors etc so you can't ask for anyone better than they are!! Our experience with Team Haigh Realty has been first rate! We had four contracts within four days and we sold to one of those bidders. The Haighs were helpful, knowledgeable and positive throughout the process. We highly recommend them. Team Haigh was awesome to work with. They make a great team and were very knowledgeable about the buying/selling process and the market in general. They were accessible and always willing to answer the million questions we asked them. They truly made the process as painless as possible. They're super hard working and reliable. We have multiple offers after just a weekend of being on the market! We would definitely recommend them to family and friends. Working with Team Haigh was a great experience. They were very knowledgeable and professional. We had a specific vision of where and what we wanted in a home. They were patient and never tried to steer us in a different direction. They were very accessible and accommodating, with most of our showings the same day. Their knowledge and expertise throughout the process was invaluable. We recommend them to anyone searching for an agent to buy or sell their home!! I would highly recommend Team Haigh when considering buying or selling a home. They represented me during the purchase of my first home 3 years ago along with the sale of that home. They recently represented me and my fiancé during the purchase of our first home together, which was new construction. Both properties being in Vinings/ Smyrna area. The experiences that we have had with them over these past 3 years have been professional and authentic, informative and transparent and just all around great. They went to bat for me on multiple occasions during negotiations on the sale and purchasing of my homes and landed me great deals all around. They consistently take the team approach which gave me the confidence going into all of my contracts. I would highly recommend. Campbell and Beth went beyond the call to help my wife, me and our family find our new home. Their hard work and passion for their clients shined with us. We couldn’t have been more blessed than to have them on our side. Team Haigh are true professionals in the real estate world. They were easy to contact if any questions came up--fast responses. They understand the market and what it takes to sell a home. Team Haigh? Absolutely the best!! Don't hesitate if you are looking for a Realtor. They felt like family from our first meeting. They walked us through selling our first home with expertise and care. It's not just a job, you're not just a client...they truly care about you! I am looking forward to working with them again to purchase my dream home in the very near future! Beth and Campbell Haigh are the best realtors my husband and I have ever met. They are attentive, patient, highly responsive, flexible, persistent (in buyer/seller's interests! ), caring, knowledgeable and highly customer focused. We are extremely picky and can, at times, be challenging clients - Beth and Campbell never skipped a beat. They have helped us buy/sell three homes in the past 5 years. Highly recommend. Team Haigh was a Godsend to me. They were with me every step of the way helping me prepare my Kennesaw, GA house to sell. They are knowledgeable realtors and know the housing market, especially Cobb County real estate, and how to get the best market price for each home they sell for their clients. They were very professional but treated me as one of their family members and put me at ease through the whole selling process. They truly care and always exhibit the highest standards, professionally and personally. I will never hesitate to recommend this wonderful real estate team for selling and buying.